This article is for administrators of a group of services on a 'network' account. Your 'Signup page' is where you find your custom network signup link and manage the information that displays on this page that each of your services will read when they get sent the signup link. To access this area go to your 'Network setup' and select 'Signup page'. This is the URL that each service should go to when they sign up. It's important that you share this with managers of the services within your network and that they use this to sign up rather than through the Storypark main website. If they were to go to www.storypark.com instead to sign up they won't be attached to your network. 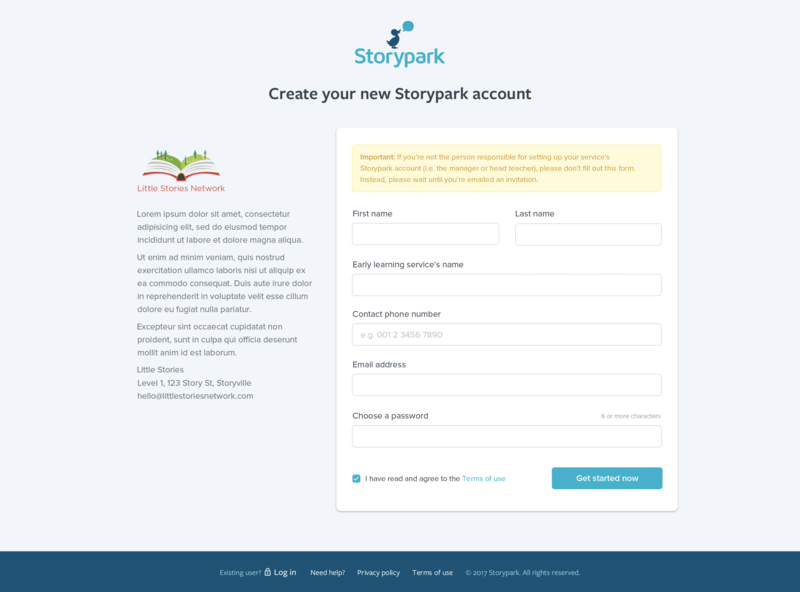 Note: Should any of your services sign up through the Storypark website by accident, they can contact Storypark support to get them added to your network. A welcome message that your services will see when they visit your network signup page. The message will appear below your logo to the left of the signup form. Try to limit your message to 1-3 short paragraphs. 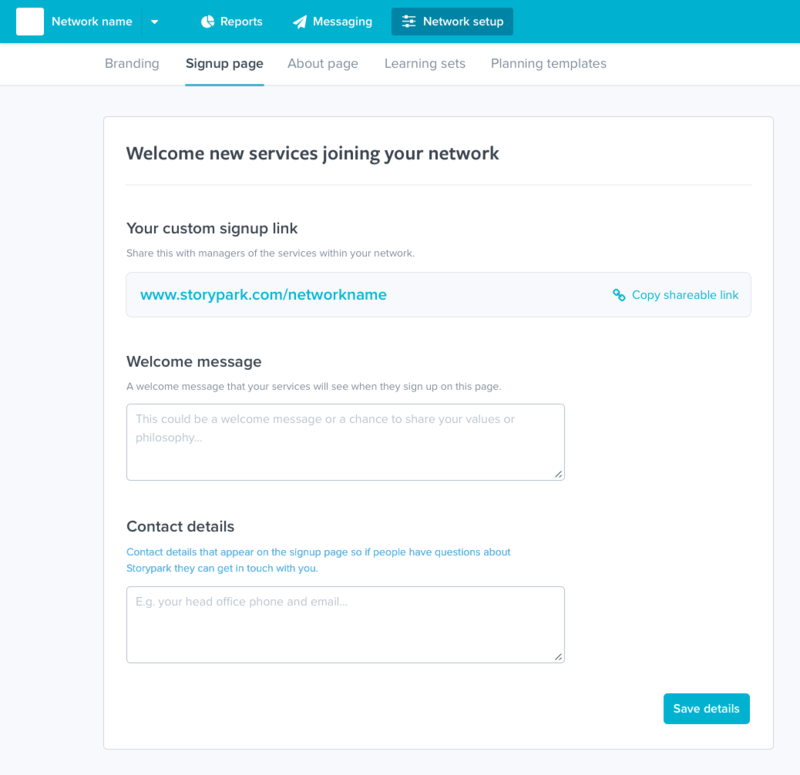 Your network's contact details that appear at the bottom of your welcome message on your signup page so if people have questions about Storypark they can get in touch with you.